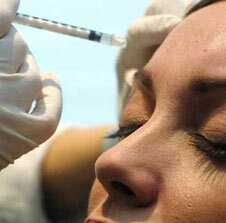 Neurotoxin injections along with fillers has become the most commonly performed cosmetic intervention worldwide. These injections relax muscles, and are used for removing facial wrinkles overlying these muscles. Obviously, the injections should be confined to muscles that are not needed otherwise funny facial expressions will result. Fortunately, this is a temporary situation, hence the immense popularity from both the patient and doctors point of view.These injections are small, safe, and nobody is allergic to them. Pregnancy and neuromuscular diseases are the only known contra-indications. 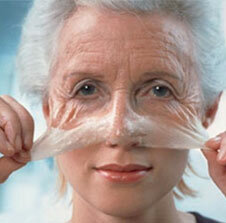 They start working at about 3 days after injection, with wrinkles disappearing later. They last for about 6 months. We also offer Velasmooth, a non surgical treatment option for skin firming, reduction of centimetres, and treatment of cellulite. Approved by the FDA, you are assured of an effective yet safe method of improving skin appearance in those difficult areas of the thigh and bum. It is also useful on your tummy, back, upper arms and jaw line. This treatment works by the proven combination of Endermologie ( vacuum assisted deep massage), radiofrequency and infrared light for tissue warming, oxygenation and Collagen tightening. Because each session lasts 30 to 45 minutes with no cutting or anaesthetic required, you can return to your work or shopping with no recovery time needed. Though the technique and equipment was initially developed in France for improving the scars of burns victims, Endermology is now employed worldwide for the improvement in circulation, contour and skin pliability that follows improved vascularity. Improved lymphatic drainage ensures detoxification of stagnant waste products implicated in the external visual irregularity and underlying cellulite formation. Chimera surgical offers Velasmooth in sessions or in conjunction with surgeries such as liposuction as determined by your particular requirement. Our Velasmooth has pressure sensitive electronically controlled roller adjustment to adapt to your skin’s thickness and tone therefore ensuring treatment in all skin layers without pain or possible harm, and as your skin firms with subsequent sessions. Safe, effective, painless and no recovery time. This combination is difficult to beat! We specialise in office peels, because this interferes not at all with your day. There is no need to take time off work for recovery, and minimal chance of side effects or bad results. We start off with a low concentration of Glycolic Acid and increase the concentration according to your skin every 4 weeks. This improves tone and glow, reduces fine lines and some pigment areas. The higher the concentration of acid the better the result. Our Faradic Machine is a Health Technologies Professional Series EMS Model 30P. Faradics is electromuscular stimulation by placing pads directly over specific muscle groups. The low frequency milli-amperage alternating current is delivered in a series of short pulses of a few milliseconds causes visible muscle contractions. This Faradics program tones and improves musculature with the added advantage of blood flow stimulation and weight loss. Your needs are met with precision by varying the current intensity, pulse length and rest period between muscle contractions which stimulates the effects of isometric exercises. Typically a 20 minute pad application on your stomach is the equivalent of 250 to 300 proper/perfect sit-ups.